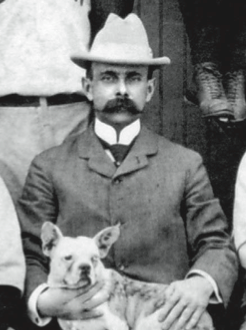 Major-league baseball faced a serious crisis in the early 1890s. Players rebelling against the reserve clause had created the independent Players League to challenge the existing National League and the American Association in 1890. The ensuing season, in which three major leagues competed for fans and revenues, weakened baseball overall. The Players League folded after a single season, the American Association neared insolvency in late 1891, and even the venerable National League languished. The series moved to Boston’s South End Grounds, where the Beaneaters won Game Four, 4–0, on Friday, October 21. Both league rules and state laws required the two teams to take Sunday off before playing Game Six on Monday, October 24. 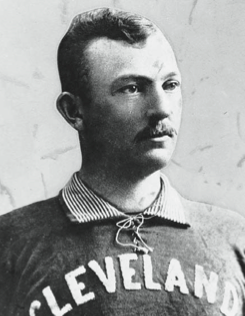 A Cleveland victory would have moved the series to New York for the next game but Boston won, 8–3. Sporting Life provided an apt description for the series: “The Clevelands put up a stiff game and fought every inch, but they [played] against a team that has proved their superiors in all the points of the national game.” Cranks also ignored manager Selee’s fear of bad weather as more than 32,000 attended the series’ six games. This essay was originally published in "Inventing Baseball: The 100 Greatest Games of the 19th Century" (2013), edited by Bill Felber. Download the SABR e-book by clicking here. 1. ”The Revolution,” Sporting Life, December 19, 1891, 1. 2. ”The Record,” Sporting Life, July 16, 1892, 3. 3. “The Season’s End,” Sporting Life, October 22, 1892, 4. 4. “The Big League,” Sporting Life, September 24, 1892, 2. 5. “Tebeau Talks,” Sporting Life, October 8, 1892, 11. 7. “Editorial Views, News, Comment,” Sporting Life, October 22, 1892, 2. 8. “The World’s Championship Series,” Sporting Life, October 22, 1892, 4. 9. “Boston Wins the Second Game,” Sporting Life, October, 1892. 10. “Boston Wins Again,” Sporting Life, October, 1892. 11. “The Final Game.” Sporting Life, October, 1892. 12. “The Big League,” Sporting Life, October 8, 1892, 2.